With multi-platinum selling records, Grammy Awards and billions of streams there's no introduction needed. 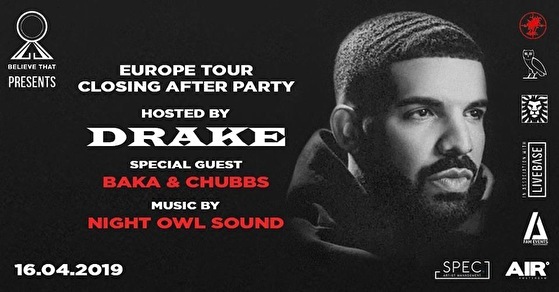 October's Very Own DRAKE will come to AIR Amsterdam to host the official Europe Tour closing party! After sold-out performances throughout Europe you can be part of this unforgettable experience.